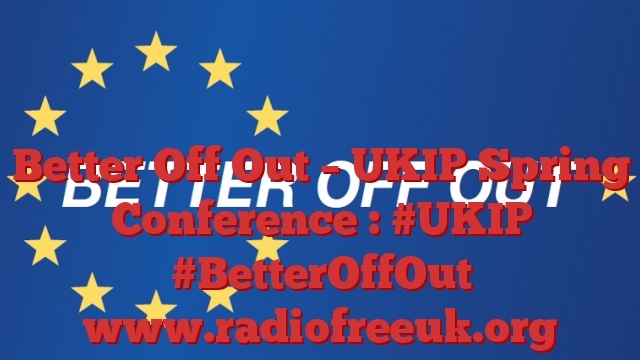 This week our podcast takes the form of a report from the UKIP Spring Conference in Llandudno in North Wales. We managed to grab a chat with lots of people behind the scenes – including MEPs, party activists, researchers, representatives of both Vote Leave and GO! as well as some folks from think tanks. A very busy time. The report starts with yours truly on the seafront at Llandudno about to go into the conference. As ever with recordings made a busy events such as political conferences there is a bit of background noise in places, so my apologies for that.